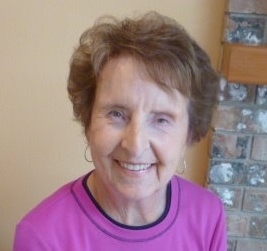 Tanya Warren, born in Seattle Washington on April 14, 1936, passed into the presence of the Lord on Thursday, September 13, 2018. She courageously fought a long battle with COPD and congestive heart failure, and stayed with us as long as she could. She is survived by her husband Donald Warren, son Blake Johnson (Wendy), her daughter Lori Granberg (Paul), grandchildren Emily and Kennedy Newman, and Jennifer and Jeffery Warren. Tanya held many interests but will be most remembered for her passion for her family and her faith in Jesus. Many family trips included skiing, golf, Hawaii, the Oregon and California Coasts and cruises. She was active in her church and in ministries serving others and the community, including the Thanksgiving Outreach, Mothers of Preschoolers and Salt & Light. She and Don hosted many prayer groups and Bible studies in their Edmonds home, and she was a source of encouragement to many. Tanya was also a business woman who worked full time to support her family. She especially enjoyed orchestrating the transfer of seafood from Alaska to the US and Japan for SeaLand. She had been a stewardess, a dental hygienist, and a musician (marimba and piano). She loved football, gardening, travel, and took a keen interest in anything that mattered to her kids and family. Tanya graduated from Winlock High School, and the University of Washington. She and Don had just celebrated their 32nd wedding anniversary in August. A Memorial Service to celebrate Tanya’s life will be held at Westgate Chapel in Edmonds on Saturday, October 13th at 1:00 p.m. Tanya would treasure remembrances to Westgate Chapel’s New Heart Place or Church Awakening. We were so blessed to be loved and to love Tanya since 1992, both her and her beloved Donald. Not only did we serve the Lord together in many of the same committees but Tanya andvDon had many gatherings in their home, (she had the gifting of hospitality among others) we played many golf games as a foursome , adding lunches where we lifted up our God together and as iron sharpens iron, we were sharpened together. Tanya was a personal prayer warrior for me and my family such as kids and grandkids and knew much about us and ours. She was the outwirking in the flesh of a super friend and sister and teammate in Christ. We loved time with her and Don because Jesus was always lifted up . Tanya my dear friend was always transparent and loving 24/7 to us. I loved that she followed us on FB and we followed her when she could not get around so much anymore. I can only imagine how she must have entered Heaven and I am pretty sure she would have gotten the Words we all will long to hear, “Well done thou Good and faithful Tanya, come enter into thy rest” and “walk with me around Heaven , here hold my arm beloved one “! Tanya was one of the most incredible human beings I have ever had the pleasure of knowing. She was consistently warm, witty, full of love, joy and gratitude -- and one could not be in her presence without being in the presence of the Lord as well. She and Don hosted our small group in their home for many months, and we so treasure every memory we have been blessed with because of their graciousness. Our hearts ache for those closest to Tanya who are surely missing the comfort, words of wisdom, and outpouring of love that she continually gave to others. Our thoughts and prayers are with you throughout this enormous earthly loss, but immense heavenly gain. I grew up two doors down from Tanya, Blake, and Lori. She was our neighborhood Mom. Always there with a smile and a hug. Tanya had a way of making each and every one of us feel special. I remember her taking an active interest in all of our lives, encouraging us to be our best in whatever we did. I was lucky to keep in touch with her throughout my life, what a gift. Thank you Tanya for your kindness, for caring, for your encouragement. Thank you for raising two incredible children. The world is a better place because you were in it. Hello. I just learned that Tanya died by looking at Don's Timeline on Facebook. My deepest sympathy to Don and all of the family. Tanya and I were classmates in Winlock, Washington from elementary school through high school. She was the sweetest young woman who was well liked by all her class mates. Yes, we remember her playing the marimba and always with a smile for her appreciative audience. She excelled in her chosen activities and I believe shared valedictorian honors with another student. The Nelson home was the place to be for winter activities. Sledding down that hill brought a lot of happiness to our peers and we could always count on a hot cup of cocoa served by Tanya. She will be missed and, again, my condolences. I learned that Tanya died when Pearl Russo called me on October 15th to tell me. My sincere sympathy to Don and to the family. I know she will be missed. Tanya and I were friends from even before we started school in Winlock Washington. Our friendship began at about age 4 as we played together at her grandmother's house near where I lived, and we continued building memories together from that start, including our years together at UW. Winlock was a small town so we were always in the same class, in band together, in the same activities, even in the same pretty-awful plays! Despite seeing each other all day in class and at recess, we managed to spend about an hour on the phone each evening discussing the day. Winters, her home was on a good steep hill and was the center for our winter sledding--with hot cocoa in-between and after. Tanya excelled at marimba as well as so many other things she did. But her smile and her gentleness were what brought her so many friends in Winlock and later, through the years. I will miss her! I attended 12 years of school with Tanya. She was a very special person and very talented musician. My thoughts and prayers for her family. Just heard today of Tanya’s passing. So sorry but know she is no longer hurting. Tanya and I were song queens together in our Junior year of high school.